Push file changes to your editbar with this nifty plugin! This nifty plugin will push contents straight from a file to your editbar. Consider you have HTML that is written from a third party application to a file. When that file is updated your editbar reflects the changes in real time. 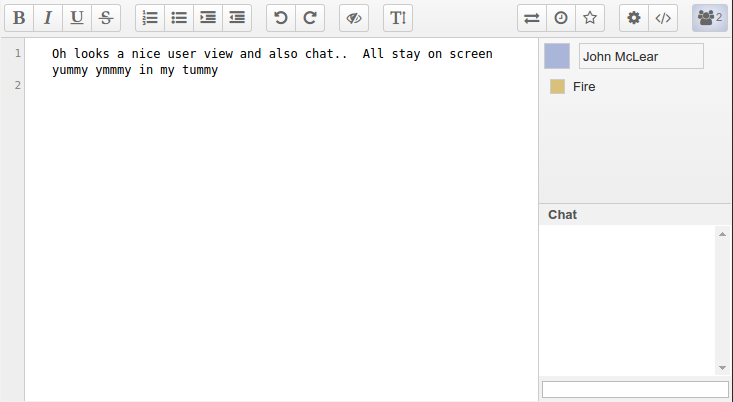 In this picture you can see some output from Mumble showing the Server users is reflected in the Pad Editbar. Super simple yet super useful! What will you use ep_filemon for?